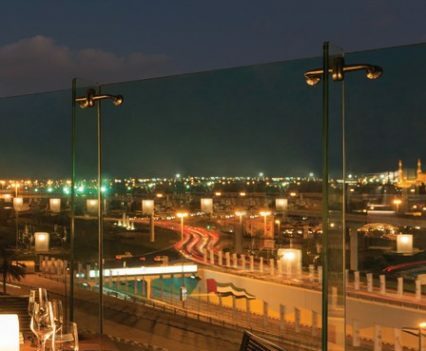 If you’ve ever thought of spending the weekend on Sheikh Zayed Road, or at least, somewhere along this main district, you’ll know that it’s like playing cat and mouse with hundreds of people who all have one goal in mind: I need to reach my destination, FAST. 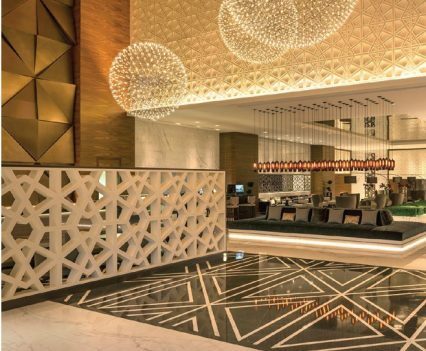 Rest assured, the business and continuous hustle of the outside, all instantly melts away once we’re through the doors of the 5-star Sheraton Grand Hotel, Dubai. 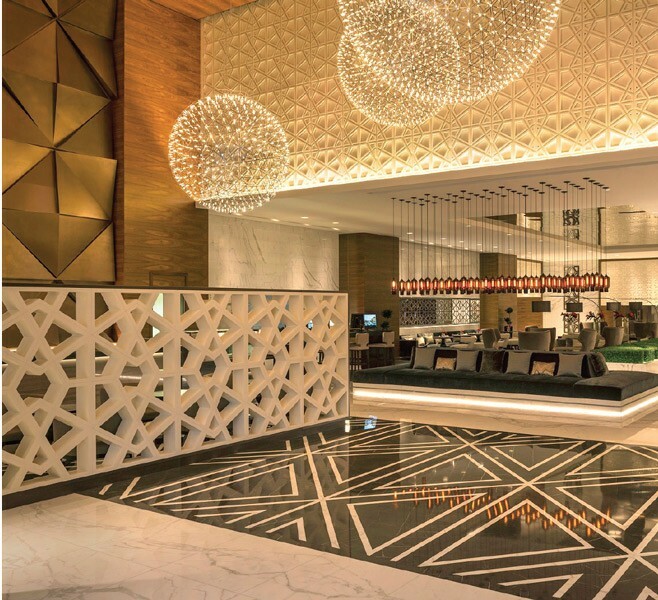 Its sleek interiors, friendly staff and quick service all help to calm any of our work-week woes, and we feel an immediate sense of serenity as the lift whisks us up to a Grand Deluxe Suite. 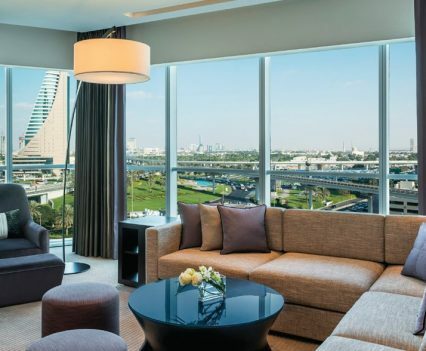 We walk into the spacious and tastefullydesigned room, and it’s the sight of the Dubai Frame and many of Dubai’s buildings that draws our attention at first gaze – we can’t wait to wake up to this view in the morning! 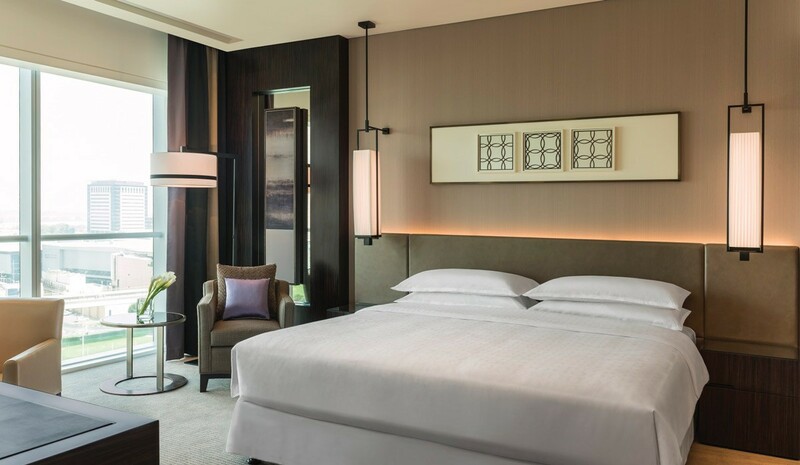 Flanked with stylish neutral, earthy-inspired interiors, the chic design of the Grand Deluxe Suite is the perfect blend of practical use of space and comfortable, luxury furnishings. The suite is divided into a beautiful living room with a large corner sofa, dining table and a glorious mini-bar, which flows through to a large bedroom with chaise longue and super comfy Sheraton Signature Sleep Experience Bed, fringed by a modern and inviting bathroom with a deep soaking tub, walk-in shower, and a separate restroom with bidet. 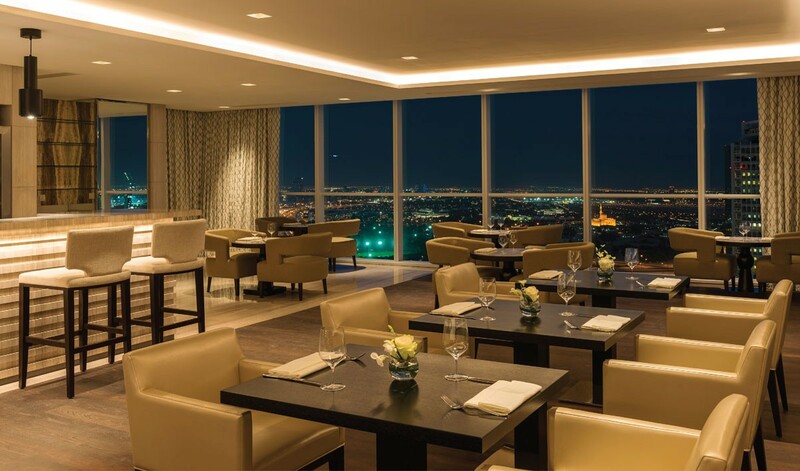 To top that off, the suite is a great balance of work and play with a full-size executive writing desk for those who want to casually catch up on emails and for those who just want to take it easy and lounge around, you can watch movies and more on the 42inch LED flat screen TV – perfect. All 464 luxurious rooms and suites feature complimentary wireless internet access, telephone, mini bar, tea/coffee making facilities, and small added details like soundproof windows, plenty of USB outlets, grocery shopping service and even a snack-ordering option for those who are craving their favourite chocolate bar or biscuits – you name it, they’ll bring it. Guests staying in the Grand Deluxe Suite enjoy privileges and superb facilities, including exclusive, private check-in and check-out, access to the Club Lounge with complimentary refreshments throughout the day – we’d highly recommend an evening jaunt here to enjoy the hors d’oeuvres and complimentary cocktails and soft beverages – and like all hotel guests, you can enjoy the private health club and rooftop pool at any time. Do you even need to leave the hotel? 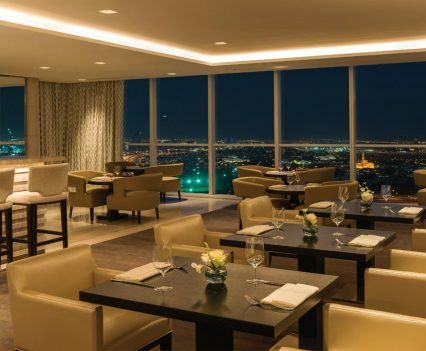 If there’s one thing you’ll love about this hotel, it’s the enticing global flavours at its dining venues. Head to Feast for breakfast and expect a buffet and live stations like no other. We would highly recommend ordering a plate of fresh pancakes toped with maple syrup – so, so yummy. There’s everything from Asian breakfast delicacies to Indian classics, international favourites and healthy choices too. 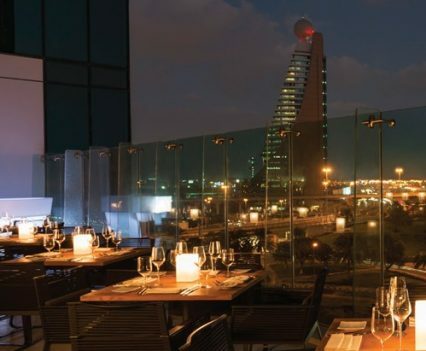 At the aptly names Feast, you can indulge in flavours from around the world at this interactive culinary restaurant. Grilled, glazed or roasted, it’s all about fresh, live cooking from the heart and a healthy and modern approach to preparation and presentation. We especially noticed this during dinner one evening where the variety of food is like a dream; Indian curries and snacks, Pan-Asian woks and noodles, international roasts and hearty soups, refreshing salads, cold mezze, Arabic favourites, bread and cheese galore, and desserts to match any popular bakery – this place is made for travellers who love a good meal. Designed like a marketplace for the discerning diner, Feast is influenced by the seasons and underpinned by a belief in a ‘fresh from the market’ approach. The open kitchen and family-style service at Feast make it the perfect choice for families, groups and business people to gather, mingle and taste an abundance of flavours. 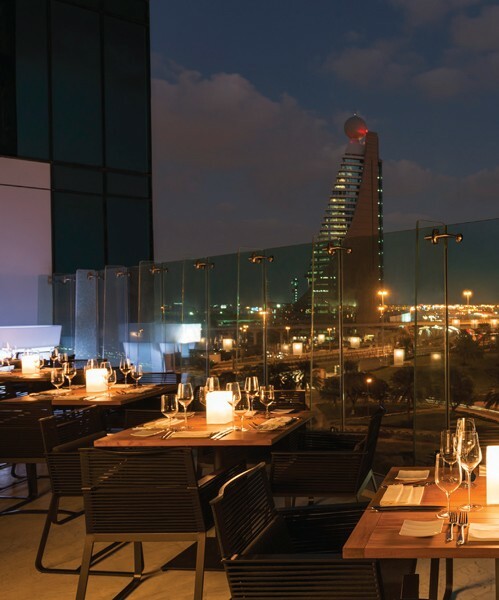 We highly recommend you to try the delicious fried fish and the unusual blackberry sorbet – standouts from our meal. There’s also a BBQ joint, a coffeehouse, a bar, and a very famous Caribbean hotspot that many will be familiar with – the one and only Miss Lily’s. 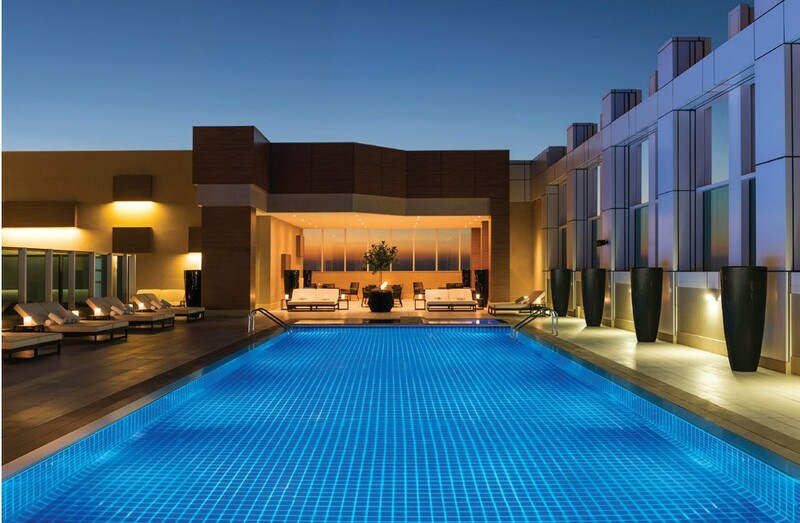 Aside from its attractive pool area and well-equipped health club, a staycation wouldn’t be complete without some me-time. 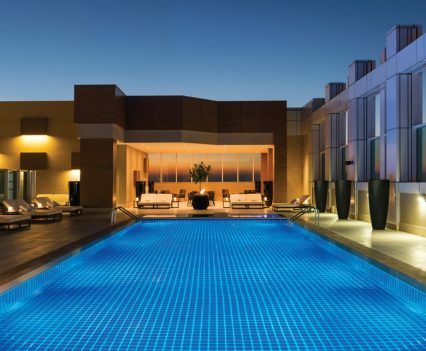 Be prepared because Sheraton Grand Hotel, Dubai has just the place to ease all your troubles away. 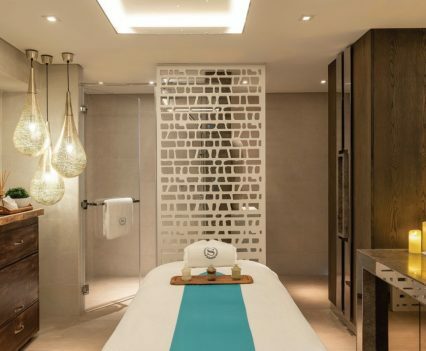 Head to Soul Wellness & Spa which takes its guests through a journey of mind, body and soul, offering luxurious bespoke treatments with customised skincare using organic locally-grown remedies alongside some of the finest skincare brands, including Elemis. 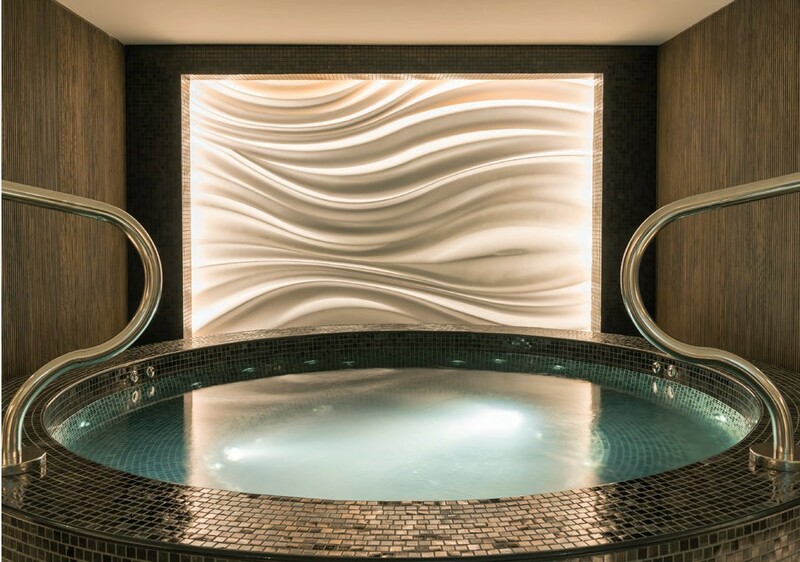 Achieve balance and peace of mind here, where the principles of vitality, fitness and beauty combine in unique therapies. 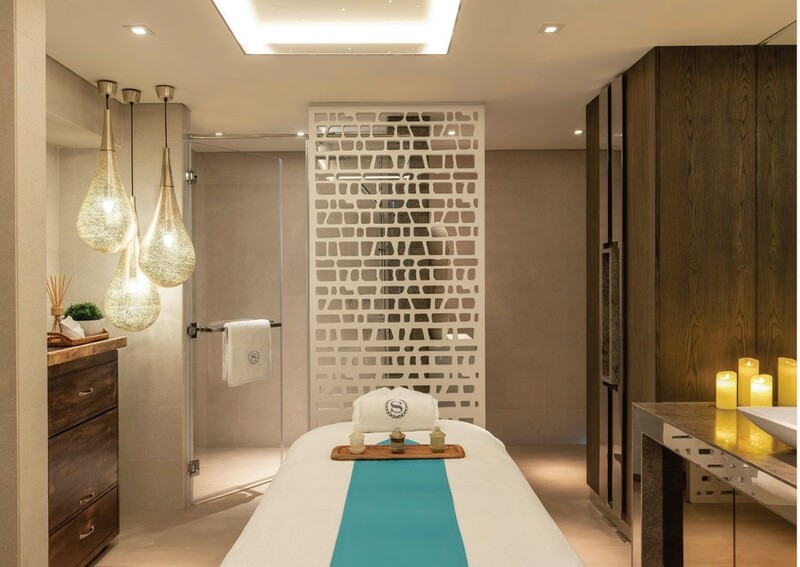 Let the skilled therapists customise a personal spa journey for you, for the utmost in indulgence or choose a treatment that sounds bliss to you. Make sure you get there early for a cheeky use of the Jacuzzi, steam room and sauna. 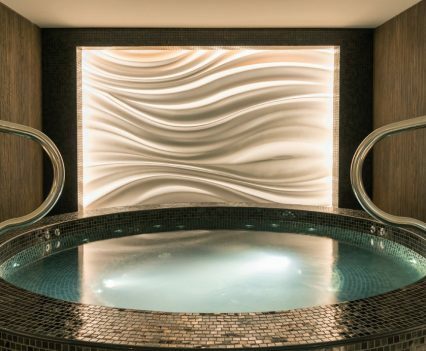 As far as city spas go, the Sheraton Grand Hotel, Dubai does an excellent job of concealing the fact that you’re in the middle of the busiest emirate – instead, you’ll feel just as relaxed as you would when visiting a resort spa. 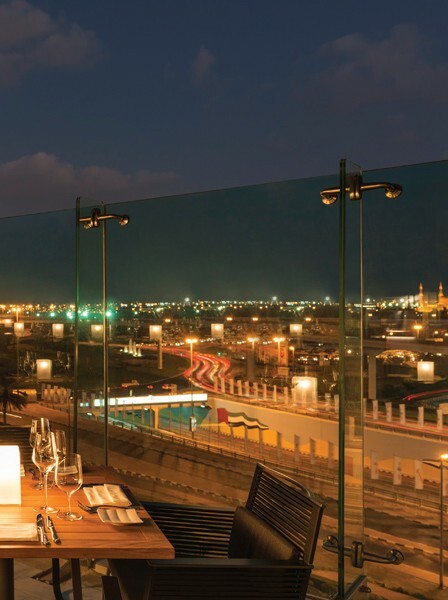 GO: CALL SHERATON GRAND HOTEL, DUBAI ON (0)4 503 4444 OR VISIT WWW.MARRIOTT.COM/HOTELS/TRAVEL/DXBGH-SHERATON-GRANDHOTEL-DUBAI/ FOR RESERVATIONS AND MORE INFORMATION.